A scalp treatment for thinning hair with 98% naturally derived ingredients. 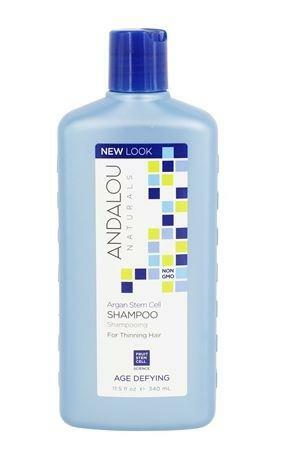 Andalou Argan Stem Cell Scalp Intensive has PhytoCellTec® Argan Stem Cells to support vitality for stronger strands with less breakage. Argan oil nourishes and conditions for flexible strength and smooth manageability. The result is noticeably fuller looking hair with amplified body, volume, and shine. Colour safe. 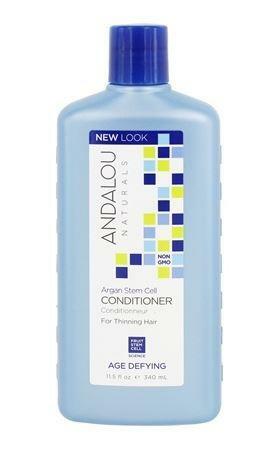 How to use Andalou Argan Stem Cell Age Defying Scalp Intensive; Daily. Part dry or towel dried hair into equal sections, apply a few drops to scalp and massage gently. Style as usual. Color safe. Apply again before bed for overnight benefits. Optimum benefits with regular use. Gentle and colour safe.